A match made in foodie heaven—with endless riff options. To make the cannabutter, melt the stick in a saucepan three-quarters full of simmering water. 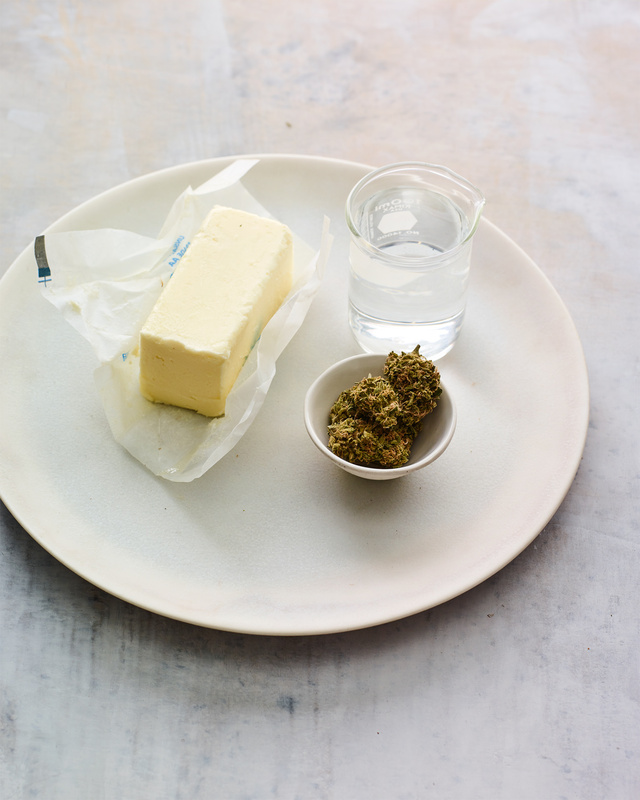 Once the butter has melted, add crumbled and dried cannabis flower to the butter and water in the pan—start with one-eighth ounce or add up to one-half ounce total for a more potent experience. Simmer butter-water-cannabis on lowest setting for three to four hours. Strain into a heatproof container and refrigerate overnight until the butter separates. Remove the finished cannabutter, discarding the larger leaf bits etc. that sink to the bottom. Use the butter as a base for Bakman‘s sativa brisket .